Shounen, one of the anime category, is very popular in Japan and the other countries all over the world. Shounen means relatively closer to “youth” and “juvenile” in English. This category is usually reserved for male. Now let’s see TOP 5 Anime Shounen sets can not be ignored in the Anime series for Winter 2019. The content of this story is about Hyakkaou private Institute – a place for students belonging to noblemen with a very massive profile. When being a Mandarin’s son, young lady of a class aristocratic family, something like good academic or good in sports is completely unnecessary. It is a natural force, they were born to take power, all those students need is a head full of intrigue and extraordinary attempt. And no way to practice this skill better… gambling! Yes, gambling is almost a subject in the academy, not only to train the head, but also to determine the class in the school. At the Hyakkaou academy, winners will be a King and losers will be beast. 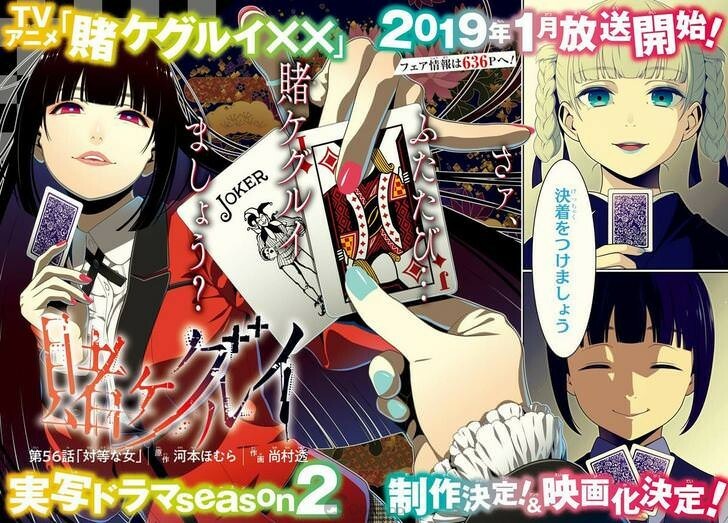 But until Yumeko Jabami appears, she taught those students know how the “gamble of life and death” is. The children who live in the orphanage Grace Field are having a happy and harmonious life there. Until one day, the child discovered the truth that they were raised to be food for terrible monsters. Whether they can escape from this cruel fate before it is too late? The story takes place in the middle of the Muromachi era, about the 70s of the 15th century, after the battle of Onin and Bunmei. 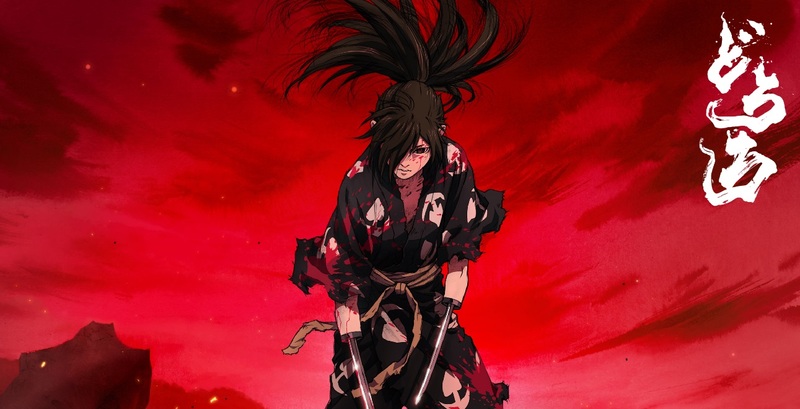 The story is about Hyakkimaru – a young man who already lost 48 parts of the body when he just was born. Tragic things which he suffered is due to his father – Kagemitsu Daigo – did make a promise to the devil, because he wants to dominate the country. The price for that promise is 48 parts on the body of Hyakkimaru. So, just was born, Hyakkimaru was full of his disability and be forsaken and drifted by his family. Hyakkimaru then grown up and he mounted his body by fake parts so that he can kill 48 demons, to regain his body parts. On that journey, he met the boy Dororo and the two became friends. A school boy of Natsuo is holding a hopeless unrequited love with Hina, his teacher. However, during a mixer (a meeting for many of boys and girls to know each other), he met Rui – a cool and cold girl. And then, two of them had slept together. Thinking that trouble just to get there, but until Natsuo’s father announced that he dicided to remarried a woman who has two daughters. The two daughters of the woman turned out to be Hina and Rui. The person that he falls in love and the one he slept together are full sisters. The reversed fate of Natsuo, Hina and Rui has started like that. Go-Toubun no Hanayome is the story about a “poor hot boy” named Futaro Uesugi and studying in the second 2 at higher secondary. To manage his life, he decided to work as a tutor for a rich family. However, the people he taught is his classmates. And that is the girl but not one that is up to five girls. His first task is to “teach” all those girls,… Every day is an event. Does this guy have to do and deal with this?